Rasmussen Reports is a conservative-leaning polling organization which is known for producing wacky results and wild swings. So it was not surprising when they released their latest poll on the N.C. gubernatorial race, which found McCrory up 13 points – up from a 5-point lead just a month earlier. Then came the Elon poll – an organization with a mixed record, showing McCrory up 52-37. Then a SurveyUSA showing McCrory up 55-39. 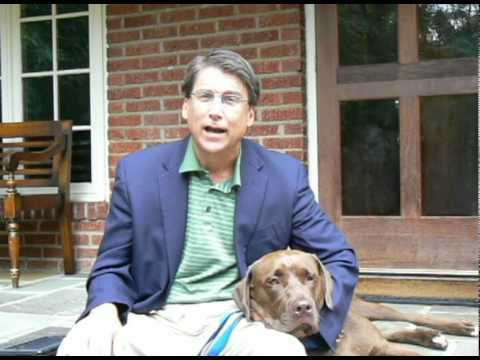 And finally, a YouGov poll released today showing McCrory up 49-33. Right now, McCrory has a double-digit lead in the RCP polling average. Should he win by that much in November, that would not only mean the first Republican victory at the state house in 24 years, it would also mean the largest margin that a Republican has ever won in a gubernatorial race here, ever. In fact, the only poll right now showing the race within single digits is PPP, which has McCrory up 6 (45-39). With Dalton now on the air, you would think he would be narrowing the gap – instead it seems like McCrory is padding his lead. I’m dubious that McCrory will win by that much – most of the insiders are saying that this is a 5, 6 point race which might get even narrower. The consensus, though, seems to be that Dalton has few routes to victory, barring McCrory doing something stupid. What is interesting is that none of the polls have McCrory cracking 50%. I imagine that there are a lot of Democrats who are undecided who don’t know very much about Dalton but are not yet willing to pull the lever for McCrory. McCrory will be making history if he wins. Not only will he break the so-called “Charlotte curse” but he will almost surely win on his own merits and not because of the coattails of a strong Republican ticket at the national level. This is just another instance of how North Carolina politics have turned completely upside down in the last decade.